People have treasured items associated with Pan American World Airways for decades. And tangible reminders of the "world's most experienced airline" continue to capture the imagination of fans and collectors with the passage of time. If you're a collector or just want to purchase new Pan Am merchandise, check out these resources to help you find what you're looking for. PAN AM BRANDS: Incomparable accessories based on original Pan Am designs. View Pan Am AWARE Store images on Flickr. Books: Link to the Panam.org Books section for information on Pan Am history resources. EverythingPanAm.com: Kelly Kusack's website has thorough info on collectibles, including Pan Am items for sale, and a special page devoted to memorabilia values. 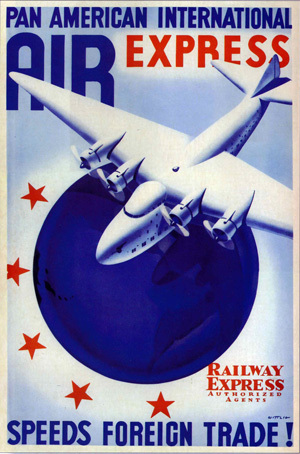 Selected Bibliography of Pan American World Airways: The University of Miami Special Collections features a bibliography and notes created by Craig Likness and Maria R. Estarino in 2007.